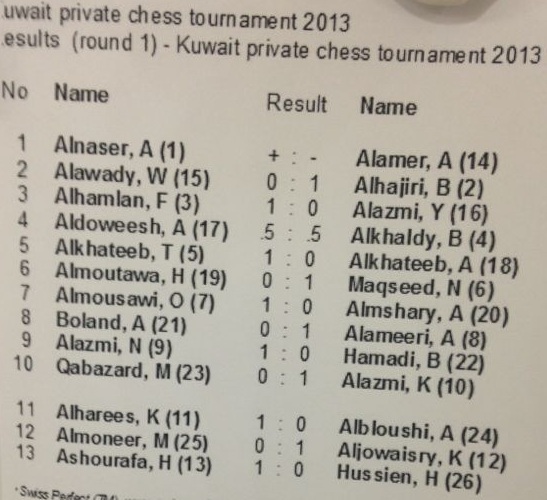 Yesterday was the start of a new tournament, the first of its kind in a very long time. 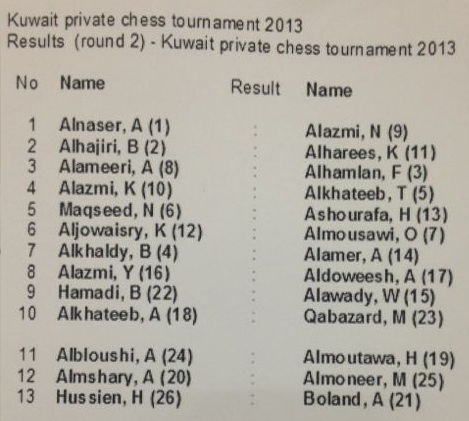 Amazingly, a large number of Kuwaiti players joined in the event. Which was a joy to see. We saw old friends, new friends, and soon to be friends in the crowd. It was also surprising because a lot of players joined in the competition, both new players and old players who stopped playing before. A total of 26 players. A few more active players such as, Khaled Kalander, Ibrahim Shehab, Abdulrahman Al Ibrahim, Abdulsalam Al Dakheel, and myself could not join due to work issues. But hopefully, we will join in the coming tournaments. And here are a few pictures from the tournament. Check out the new playing venue. It was upgraded from last time.